We are glad to introduce you the Geolocation by Google add-on. 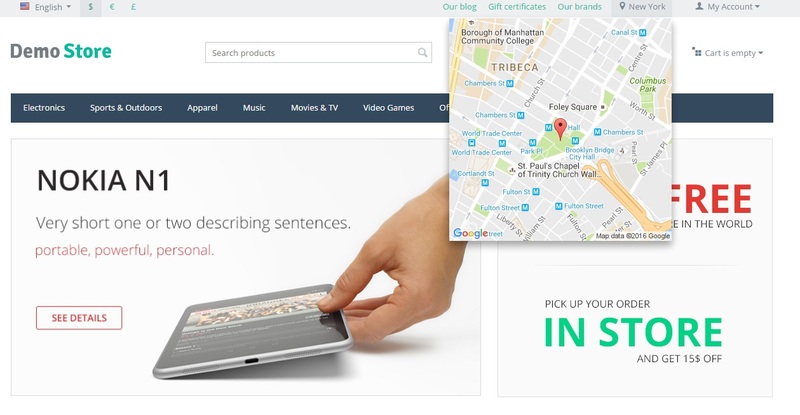 The CS-Cart Geolocation by Google lets you integrate the Google Maps service with your website. By adding the maps into your store you can get real-time information about your customers' location and check orders' real geographical origin. After you have installed the add-on, go to Add-ons — Manage add-ons and choose Geolocation by Google to see all available settings. All settings are divided in three groups: Google settings, Default location and additional settings. For the correct work of the map you need Google Api Key. Please visit this page to know how to get the API key. 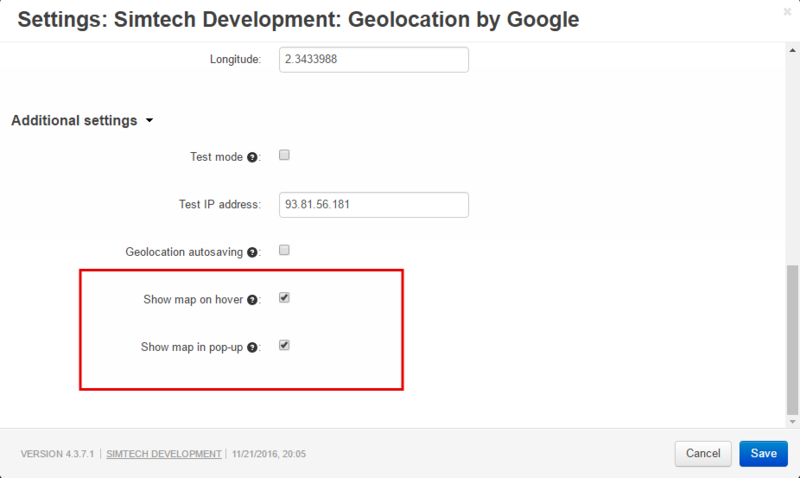 In Google settings you will be able to manage MapType control, Scale control and Test mode. Now when the customer visits your store for the first time, the pop-up with the location will be specified automatically and they will see a nice Google Map. If your customer wants to change or select another region, street or even building, they can choose it right on the map or type it in. We can bet that most of your customers and potential customers find filling in forms and typing long addresses boring. They put it off or get nervous. But we have solved this problem by auto-filling. When typing the address the system will offer addresses in the drop-down list. You can see it in the screenshot below. On the checkout page, the City, Country, Zip/postal code fields will be filled in automatically. Note: The add-on is totally compatible with our Shipping estimate add-on. 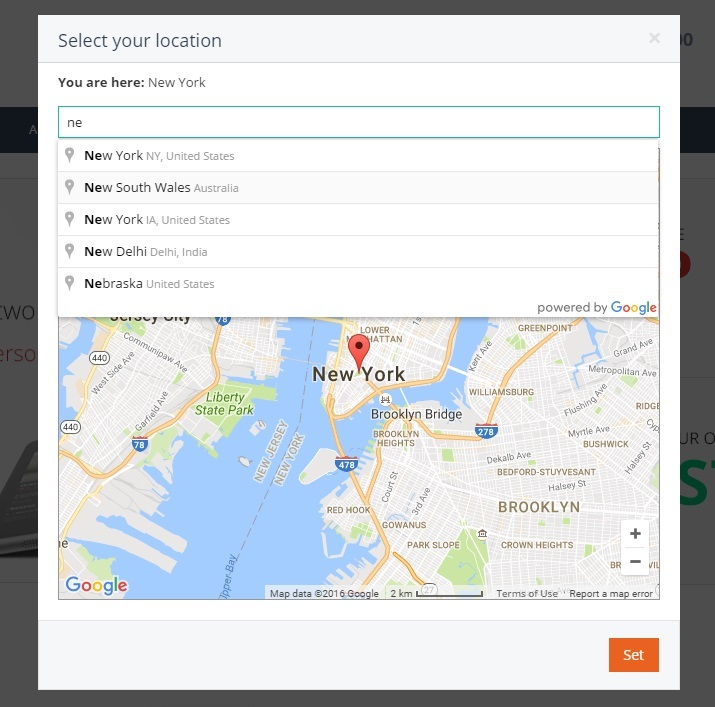 Enable geolocation feature to determine customer's location and set up shipping methods for places you ship to. The add-on is compatible with CS-Cart and Multi-Vendor 4.3.6 and above. P.S. Do not forget to join us on Facebook to be the first to know about free solutions for your store! If you do not want to show map to your customers, but only the city, now you have such an opportunity. We have added two new settings: Show map on hover and Show map in pop-up. This add-on works really well, I just have one question: if the system knows where a customer is from because of this add-on, why do the prices not change? (for example, another location could have different tax rates). The add-on only determines the location that gives the opportunity to modify the store with relation to location. But the modifications should be done individually. There are some points that can be modified. For example, in another our add-on - IP Geolocation by MaxMind - language and currency are auto-determined by IP. With the maxmind location, will the customer then for example see prices without VAT if that is set for his location? No, now only currency and language changes are implemented. 1. Now geolocation scripts are loaded asynchronously. 2. We have made the redirect from /index.php?dispatch=geolocation.my_location&id=my_location to the homepage. Sometimes it gave 404 error. 3. We have minimized the scripts loaded by our add-on. So now the add-on has minimal influence to the page load speed. All supported languages displaying on the Google Maps and based on the users location have been added. It means that now the determined location name will be displayed in the correct language. I would like to inform you that the Geolocation by Google add-on has been adapted to the Youpi theme by Alexbranding. We have added the permission for vendors that allows opening the map in the vendor administrator profile. - tracking the search bots to reduce the number of Google requests and the server response time.